In Episode 11 of The Claiming Liberty Podcast, I share my “going keto” update for week 23. 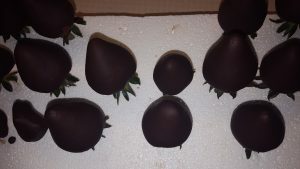 I discuss how I feel about my progress so far, I share my main goal for this Lenten season, and I share our success with chocolate covered strawberries! Listen to Episode 11 of The Claiming Liberty Podcast now!